You've got a team from day one. These are some examples of the breadth of projects our students have worked on planning. 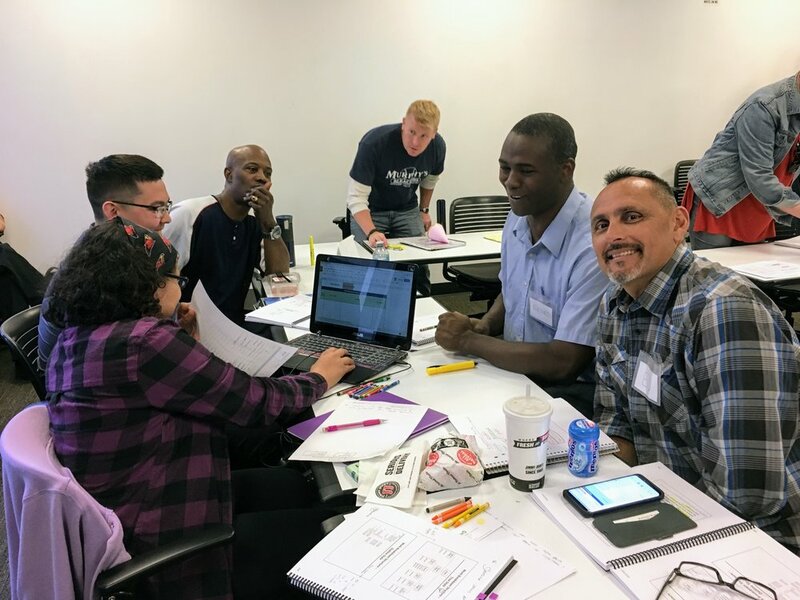 The prominent project theme across our 5 years has been student projects that attempt to help the veterans manage the support, benefits, offerings and job search transition to post military life. In every course, we have at least one group that addresses the multiple needs of their constituency. Homelessness and PTSD, often unspoken topics, are a common theme for the groups. There is a single thread of consistency in all our class projects - the veteran teams want to give back. This strikes us with a cord of humility as not all our instructors are veterans. This commonality builds a desire to keep instructors coming back every spring and fall. Food truck projects aimed at bringing healthy foods to the inner-city food deserts. Community garden projects, including a repeatable process to empower communities to manage them and create jobs year after year. 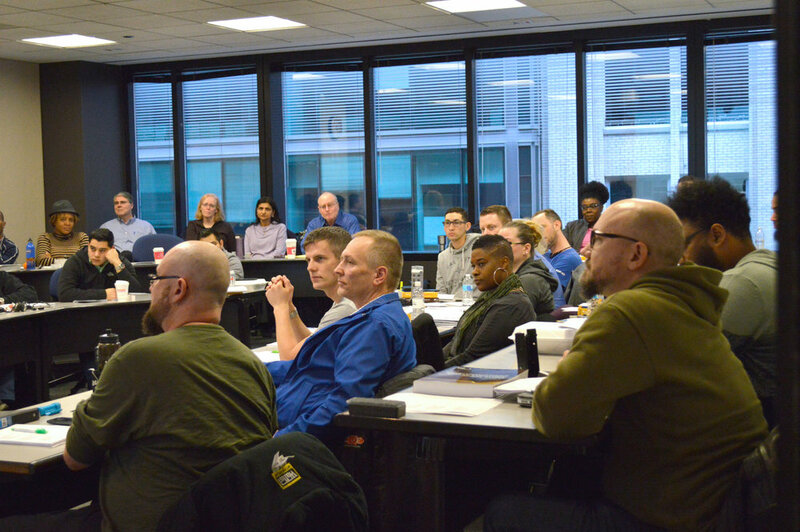 Homelessness, job search, and PTSD; the unspoken of all military engagements are a common theme for the groups. Mobile apps to connect veterans with the plethora of disparate services available to them. New business ventures to launch new product lines, such as soft drinks or a t-shirt printing business to benefit charities. Construction projects to for a company to provide professional home remodeling services. The creation of a corporate human resources program to improve onboarding compliance and lower safety violations. The creation of a playground in an under-utilized portion of a VA hospital facility. Creation of a program to provide social media marketing services to large consumer industries.